Making the decision to attend a Rachel's Vineyard Retreat can sometimes be intimidating. Fear of the unknown might be making it harder for you to reach out for help with the emotional and spiritual conflict you may be feeling after your abortion, whether your abortion was recent or decades ago. Rachel's Vineyard has numerous volunteers who can answer any questions you may have through confidential e-mail. You can simply write our e-mail buddies, who are listed below. You can also contact our national office or e-mail the contact person at the retreat you would like to attend. Most of us are persons who have walked down the same path as you and have experienced the healing power of Jesus Christ through a Rachel's Vineyard retreat. Others are counselors trained in post-abortion healing or compassionate women who help run retreat teams. Read about us below and feel free to click on a name and e-mail anyone you feel you can share your story with or answer your questions best. We are here to offer nonjudgmental, loving support and encouragement. Scott is 45 years old is married and has one daughter. He is an ordained minister with the Pentecostal Assemblies and operates a soup kitchen on skid row in a major city. He does some construction work on the side in the summer time. He experienced an abortion in his life 25 years ago when he allowed his girlfriend to abort their child without resistance. The ensuing guilt, anxiety and grief drove him to seek healing from the God of his fathers. The forgiveness and help he received lead him to follow his God into the ministry. He enjoys going on hikes with his daughter who is four years old. Graham is 65 years old, twice married, and lives (temporarily) near Temecula CA. However, he considers Portland, Oregon to be home. More than 40 years ago, he did not stop the abortion that cost him his only biological child and eventually the relationship with that child's mother. After the abortion, Graham told no one, not family, not friends, not his first wife, nor his current wife of 20 years. 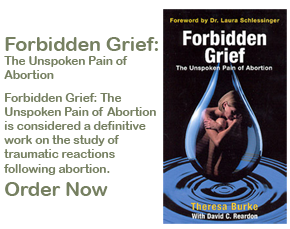 He suffered alone in denial of the grief and shame caused by the abortion. Through God's Grace and Love, Graham was led, in mid-2006, to Calvary Chapel, a non-denominational Christian fellowship, where a series of events began that led him to a Rachel's Vineyard retreat in 2007 where his healing journey began in earnest. Since that retreat, Graham has been active with the Oregon Rachel's Vineyard team, and has participated in several radio and television interviews discussing the importance of a man's acknowledgement of his abortion and the necessity for healing the grief and other emotions that linger long after the event. Kevin is a licensed social worker and Co-Founder of Rachel's Vineyard Ministries. Kevin has a special focus in his ministry on the impact of abortion on men, couples and families and effective post abortion ministry for Clergy and Counselors. He is the co-author of Redeeming A Father’s Heart-Men Share Powerful Stories of Abortion Loss and Recovery. Kevin has a blog with many timely articles on abortion healing and related issues.